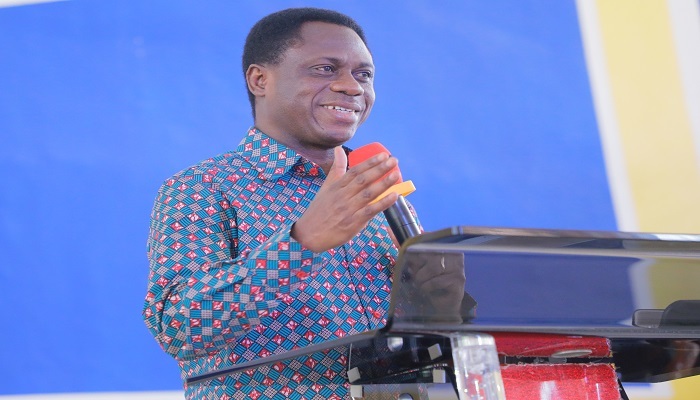 The Chairman of The Church of Pentecost, Apostle Eric Nyamekye, has admonished Ministers of the Gospel to exercise a high degree of discipline and self-control to avoid unnecessary criticisms that will drag the name of the Lord and the Church into disrepute. “Carry yourself well such that the people will respect you. People should respect you because of the grace upon your life. Don’t live carelessly and talk anyhow, let the people see Christ in you,” he said. The Chairman was addressing ministers of the Church and their wives in the Western and Western-North Regions at special service held at the Rev. Emmanuel Kwadwo Kyei Memorial Temple at Tarkwa on Tuesday, April 9, 2019, as part of his week-long apostolic visit to the two regions. He appealed to the ministers to endeavour to be faithful to their calling and renounce every secret and shameful thing that hinder the power of God from manifesting in their ministry. Speaking on the theme, “Welcome To The Church: The Pastor As A Leader,” the Chairman entreated the clergy to understand their calling in order to stay focus. “If you don’t understand your calling as a pastor, you will unnecessarily struggle in the ministry. The policies of the Church and even transfers alone will frustrate you,” he stated. He explained that, the Church is both an institution and an organism. He said the church as an institution has structures with the pastor leading it. As an organism, he said, the Church has life which is provided by the Holy Spirit. The Chairman indicated that, the clergy who are workers of the Church, should be able to put proper structures in place through good leadership that will create the right atmosphere for the Holy Spirit to have His way in the Church. Reading several Scriptures such as John 15:5; 1 Corinthians 19:16; Acts 20:28; 1 Peter 5:1-4; Hebrews 13:10; 1 Corinthians 4:4; Ephesians 3:1; 4:1; Philippians 1: 20-30; 1 Corinthians 4:1-2; 4:1-2; 1 Timothy 3:1-7, among others to back his message, the Chairman said the clergy are workers of the Church who have been charged to take care of God’s people whom He has bought with a price. “The members are not ordinary people; they are people bought with the blood of Jesus. So as a pastor, you don’t have to flex your muscles over them. You must do the right thing and they will see you as their pastor. You are not more than them. It is by the grace of God that we as clergymen have been chosen to lead them. Ours is to be a blessing unto them not to curse them. You are not their saviour, but their pastor,” the Chairman said. He stated that as ministers working for God through the Church, their real employer is not the Church but God, so they should trust that, God who is a rewarder of good works, will reward them. He, therefore, cautioned them not to touch things that are not supposed to be touched in the altar, but rather take good care of everything in the house of God. Apostle Nyamekye added that the minister of the gospel is a prisoner of Christ and prisoner for the Lord, and should therefore do the bidding of the Lord. “As ministers of the gospel, your whole life is to be overpowered and subdued by God. You are to have no end, no aim, no purpose, but His,” he said, adding that they have surrendered their total being to Christ, and that He decides for them. To have a successful ministry, he advised them to develop special love for the members, aside the power of God they need to work. “When you have both power and love, your ministry will be successful,” he stressed. He also entreated them to be hospitable by accepting the members and treating them well without any discrimination. “You must also be a pastor to all the people in the community where you serve, not only to members of the Church. It is through this that we can possess the nations,” he added.